The Sactown Nachos Fest Is Almost Here! Sactown Nachos Fest Is Here! People living in apartments for rent in Sacramento will tell you that just like every year, the summer seems to be flying by and it isn’t going to slow down anytime soon. In fact, the Sactown Nachos Fest is held at the end of the summer every year, and believe it or not we are only about a month away. Have you ever wanted to go to a festival that was all about nachos? Obviously if you love nachos then you would definitely love going to this event. On the other hand, if you aren’t the biggest fan of nachos you may not think this is the right place for you. But guess what? You’d be wrong, because even though nachos are the main focus of the event, there are other wonderful things happening here that you’ll definitely enjoy. More important than anything else, going to this festival is a great way to get out of the house, enjoy the end of the summer with family and friends, and experience something unusual that is not a typical part of your day-to-day life. So if you’ve thought about going to the festival but just aren’t convinced it’s going to be right for you, you should go anyway because it’s a different experience and it’s always good to step outside of your normal life and try something new. Hey, you never know, right? You may end up loving this event and decide to go back year after year. So stick around to learn more about this amazing festival in Sacramento and learn why this is going to be such an exciting event to attend this year. 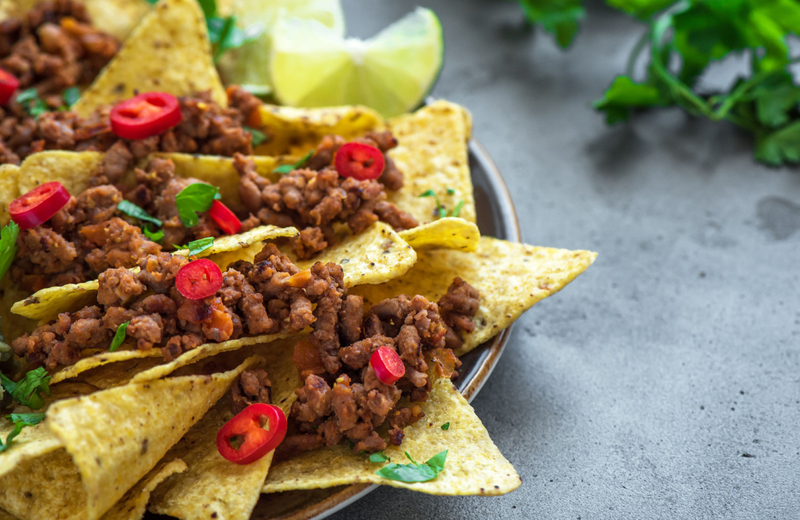 If you ever wondered what an event that was all about nachos would be like, then we highly recommend checking out Sactown Nachos Fest this year on August 25, which is a Saturday. The event is going to be held in Cesar Chavez Plaza in Sacramento and it begins at 4 PM and ends at 8:30 PM. This event first began in 2017, so if you go this year you’ll be attending the second annual event ever. And since the organizers are really excited about nachos because it’s such a great tasting food that can be smothered in so many wonderful toppings, you can bet your bottom dollar that this festival is going to be bigger and better than ever. In fact, that’s their motto this year. The tickets are being offered two different ways. If you just want to pay for general admission to get into the event, it will only cost you $10 plus a $2.61 fee when buying tickets online. Again, this pricing structure only gives you general admission access to the event and nothing more. The second way to purchase tickets is to buy VIP tickets, which provides a lot more than what you get when you only by a general admission ticket. To become a VIP, you’ll have to pay $40 for your ticket plus a $4.28 fee as well, which is definitely a bit pricier than the general admission ticket. As a VIP, you’ll get VIP seating for the Baby Bash performance, which is definitely going to be much better than being stuck with everyone packed like sardines in the crowd. As a VIP ticket holder, you’ll also be able to access the VIP lounge area which is obviously going to be a whole lot more comfortable than the regular areas in the festival. You get two drink tickets as a VIP and they are also going to throw in a Sactown Nachos Fest T-shirt for your patronage. So you’re definitely going to get your hands on some exciting perks as a VIP, so you should seriously consider it because it’s unquestionably a great alternative to the general admission ticket. This massive event is not only focused on nachos, it’s also family friendly with a wide range of entertainment, live music, food, beverages, and so many nachos that it’s going to be hard to keep track of them all! This annual recurring event is just getting started, but it’s definitely already becoming one of the most exciting events in the summer in Sacramento and hopefully it will remain that way for many years to come. The nachos festival is also tied into a charitable organization as well. They are known as Project Optimism. We will tell you much more about them below. What Is Project Optimism and How Are They Connected to the Sactown Nachos Fest? Project Optimism was recently founded as a nonprofit organization by Ishmael Pruitt and Armani Easley. They started this 501c3 with the best of intentions and they are undeniably living up to their hopes and dreams thus far. The founders of this organization are strictly focused on designing programs that are perfectly suited to fit community needs. Not only are they going to help tackle the homeless problems in the Sacramento area and other parts of California, they are even working on helping sick kids fighting with cancer get the treatment that they need to overcome this insidious disease. As far as some of their other community minded charitable missions are concerned, they work diligently to raise money for schools, college scholarships, homelessness, other nonprofit ventures, fighting cancer, and many other important events. As far as Project Optimism and their connection with Sactown Nachos Fest goes, just know that this festival gives away a humongous portion of their proceeds to the organization. In fact, they give away so much money that the festival has become a huge source of funding for the charity. And with your help, it will remain that way so remember to attend the event this year.